The power to think and imagine is a precious gift, but it can also be a barrier to clarity, calm, and benefit to others. Making Friends with Your Mind invites us to perceive more clearly our self-inflicted suffering and to meet it with genuine curiosity and self-compassion. Have you ever found yourself thinking your way into a tangle of fret, frustration, or gloom? And then something small—a few kind words, the sun glancing through the clouds, a warm cup of tea—gave you a welcome pause from all your inner chatter? 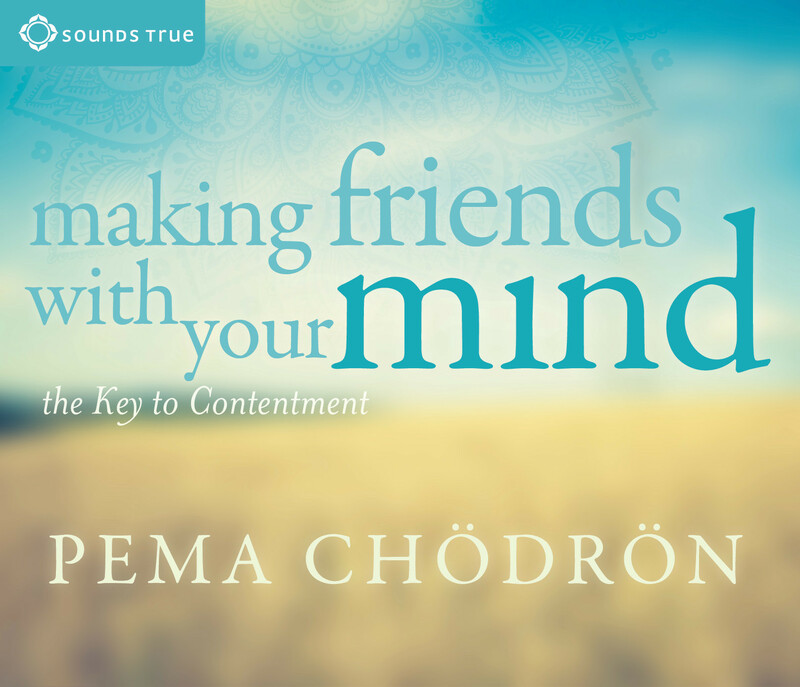 With Making Friends with Your Mind, that’s what Pema Chödrön helps us to do, not by chance but with our full intention: to stop fighting with our thoughts and reopen ourselves to wonder as naturally as we breathe. In these free-spirited sessions, Ani Pema helps you to bring awareness to those inflexible thoughts and sticking points. Through meditations, daily practices, and the kind of simple pointers that can change our lives, you’ll learn that it is entirely possible to return to the flow and freedom of your experiences—and to find your way each day closer to a place of unconditional friendliness with yourself and with those in need.